The way we communicate with our loved ones is a part of the legacy that we leave behind. Warren Wiersbe said ‘truth without love is brutality, and love without truth is hypocrisy,’ and both degrade intimacy. Words have energy and how we use them either amplifies that energy or dissipates it. 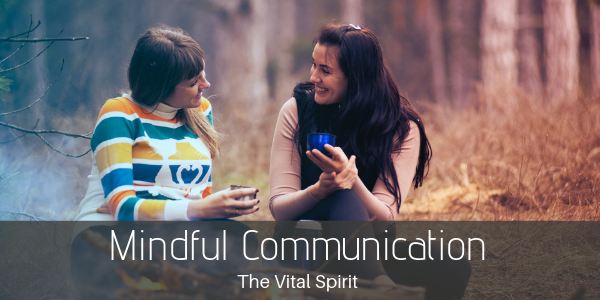 Mindful communication is about developing a style of communication that supports understanding and respect. It seeks to bridge our differences and misunderstandings so that we can deepen our connection to one another. It is not about scorekeeping or winning and it is not about pretending everything is fine if it isn’t. It is about self-expression and curiosity about the inner workings of the people in our lives.